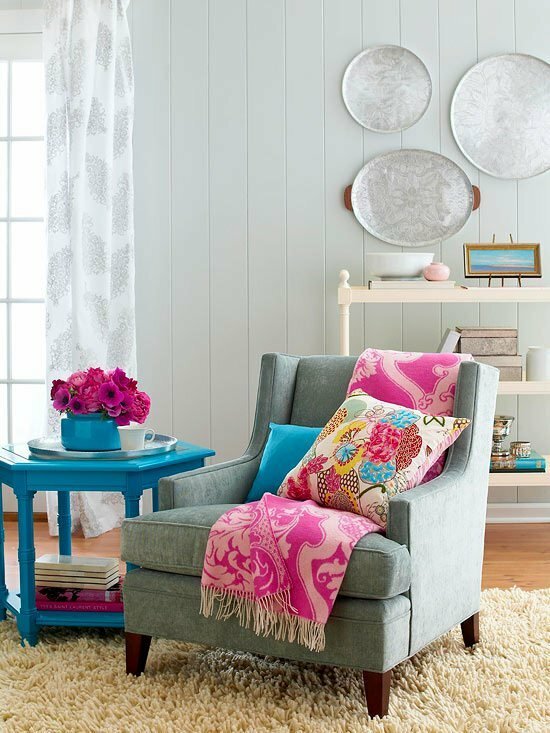 Using fabric to decorate a room is an inexpensive way to add color, pattern and charm. 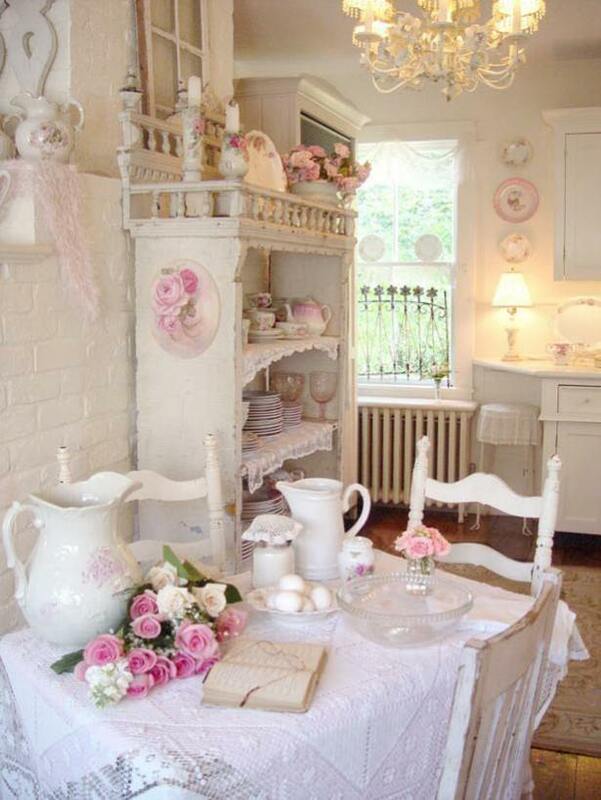 Use fabric to soften a room, add romance, and give a room a finished feel. 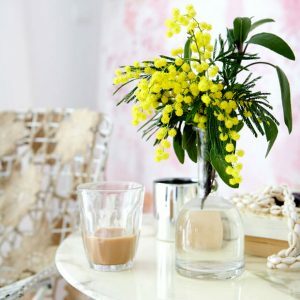 Fabric can be used in any room style, and on any budget! 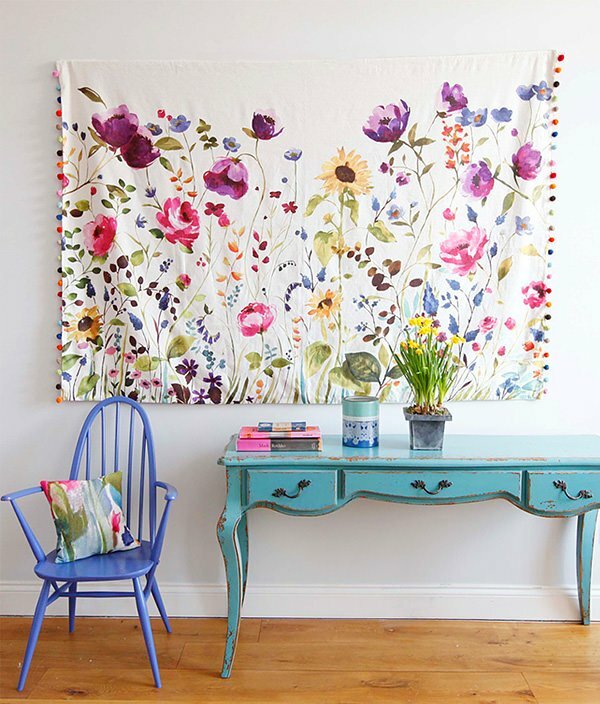 Follow these great guidelines for decorating with fabric without breaking your budget! 3. Heavy pinch pleat draperies are long since passé. 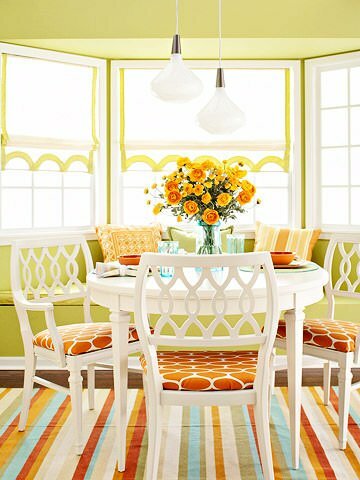 Use lighter rod pocket curtains, or tab top to soften your windows. Twin flat sheets can fit most average windows with nothing more than a rod pocket sewn in, or a clip on ring used to attache to the rod. Make sure the curtains draw completely clear of the windows to let the most possible amount of light into the room. 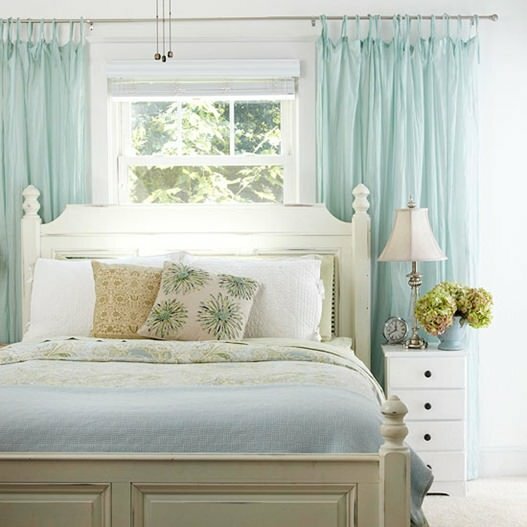 Also, consider hanging the curtain rod near the ceiling line instead of right above the window…it adds height and dimension to a room, making it look larger! I have no idea, but it is beautiful! Readers, has anyone seen a similar fabric that we can help Marie out with? I would try searching modafabrics.com or do a google search. It is great fabric and I also would like to find out where it came from. You could search etsy for a vintage floral scarf that might have the same look too. The last photo with the canopy bed only has muslin on the top of the canopy, and perhaps the sheets. 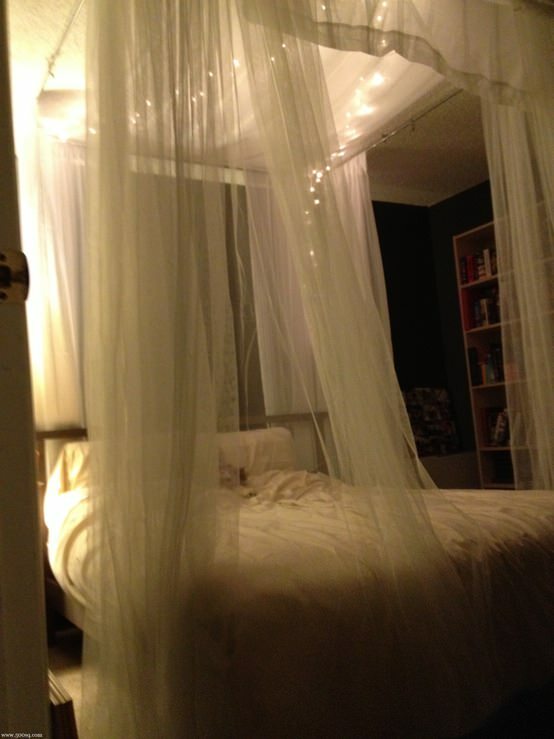 The soft, billowy fabric hanging down is actually tulle, or mosquito netting. Hi! Can you please share the wall paint color in the picture under #4 that states “4. 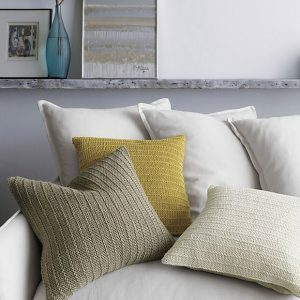 Simple throw pillows are easy and cheap to make…”? Thank you so much!